Rupee and Dollar Rate Today: Forex traders said sustained foreign fund outflows weighed on the local unit. Rupee and Dollar Rate Today: On Tuesday, the rupee rose 34 paise to 69.43 against the American currency. 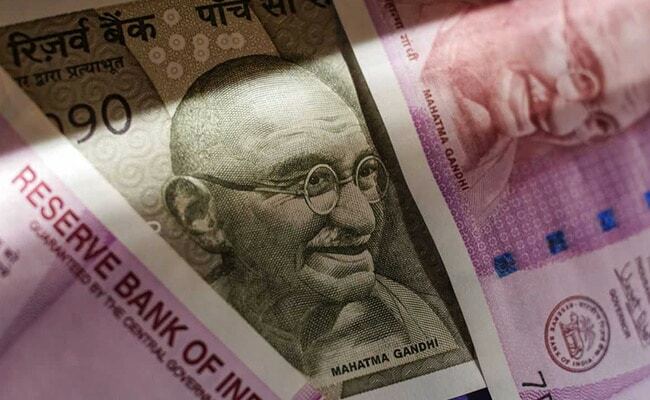 The rupee declined by 27 paise and fell to 69.70 per dollar mark in early trade on Wednesday amid strengthening of the American currency and lower opening in domestic equities, reported news agency Press Trust of India (PTI). Sustained foreign fund outflows also weighed on the local unit, traders were quoted as saying in the PTI report. However, lower crude oil prices capped the losses, they said. On Tuesday, the rupee had appreciated 34 paise to 69.43 against the American currency. At the Interbank Foreign Exchange, the rupee opened weak at 69.60 then fell further to 69.70 against the US dollar, down 27 paise over it's previous closing price. The dollar was steady on Wednesday on a basket of global currencies, as reported by news agency Reuters. The domestic equity indices started Wednesday's session on a negative note. This also led to fall in the domestic currency. The S&P BSE Sensex dropped as much as 218.79 points to touch 36,035.78, while the Nifty50 barometer of the National Stock Exchange declined 70.8 points to 10,839.30. The sustained foreign fund outflows also impacted rupee's trading. Foreign funds pulled out Rs 48.19 crore from the capital markets on a net basis, while domestic institutional investors bought shares worth Rs 142.58 crore on Tuesday, provisional data showed. Oil markets, on the other hand, dropped by around 1 per cent on Wednesday, pulled down by surging US output and concerns about an economic slowdown in 2019 as factory activity in China, the world's biggest oil importer, contracted. Brent crude, the global benchmark was trading lower at 53.59 per barrel, lower by 0.58 per cent. This capped the losses of the local unit. Meanwhile, manufacturing activity expanded at a slower pace in December as growth in new orders and output waned, despite factories cutting their prices, Reuters reported citing a private survey. December saw the weakest increase in input costs for nearly three years, giving factories room to cut their prices for the first time since July 2017. On Tuesday, Reserve Bank of India (RBI) said that it would allow commercial banks to restructure loans to such companies in default but standard category under certain conditions in its bid to support troubled small- and medium-sized companies. In 2018, the rupee was heavily dented. The currency fell by 9.23 per cent against the US dollar at 69.77 from its previous close of 63.87 at the end of 2017, making it the worst-performing Asian currency of the year, reported news agency Indo-Asian News Service (IANS).